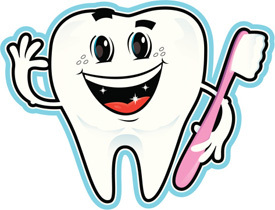 We understand the importance of teaching your child good dental health care. To help build strong routines and healthy smiles, we’re dedicated to educating you and your children in as many ways as possible. Children’s teeth, including baby teeth, are prone to many of the same conditions that adult teeth are, such as tooth decay, cavities, and discoloration. That’s why it’s important to start your child on a healthy path by teaching them how to care for their teeth at a young age. Brushing and flossing techniques are especially important habits to teach early on. Your pediatric dentists’ special training allows them to communicate with their young patients in ways that are easy to understand and comfortable. Your child will always feel at ease and even look forward to their visits with us. Let us help teach your children how to care for their teeth and create healthy habits that will last a lifetime. Call today!